You can only believe in purgatory if you hold a substance dualist view of human beings. [I]f the debt of punishment is not paid in full after the stain of sin has been washed away by contrition, nor again are venial sins always removed when mortal sins are remitted, and if justice demands that sin be set in order by due punishment, it follows that one who after contrition for his fault and after being absolved, dies before making due satisfaction, is punished after this life. Wherefore those who deny Purgatory speak against the justice of God: for which reason such a statement is erroneous and contrary to faith. 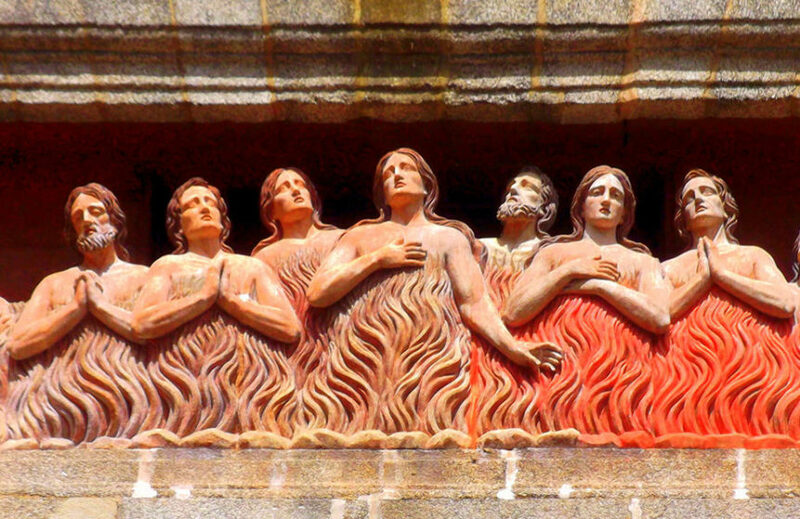 Outside of this historical Catholic understanding of purgatory, others have suggested, not that people need to be punished, but rather that they simply need to be fully sanctified (made holy) before reaching their final state in heaven. Jerry Walls defends this view in his book Purgatory: The Logic of Total Transformation. In public conversations, Dr Walls has remarked that while no doubt the sinful human desire is to have total transformation all at once, the reality is that sanctification is a process that takes time, hence purgatory. We just got back from taking our kids to their first Ash Wednesday service. Ash Wednesday kicks off the season of Lent, a time where we examine ourselves with a repentant heart, confessing our sins and reminding ourselves of God’s mercy. Many people give something up for lent and the practice of fasting during Lent is common, so that people can take their focus off their needs and pleasures and focus on being made right with God. 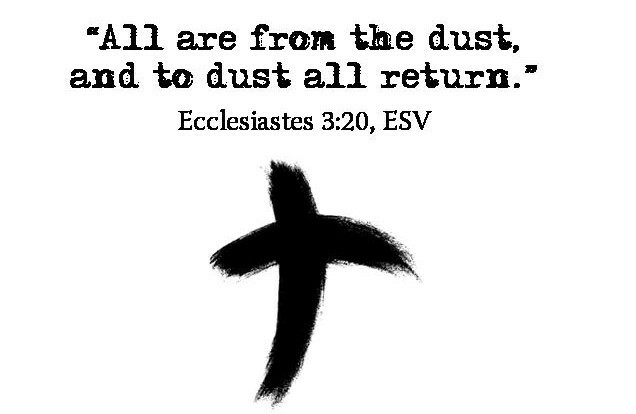 Loving God, you created us from the dust of the earth; may these ashes be for us a sign of our penitence and mortality, and a reminder that only by the cross do we receive eternal life. What a simple reality. The prayer wasn’t burdened down with the language that we sometimes use to describe these truths, terminology like “physicalism,” “conditional immortality” or “annihilationism.” One of the frustrating things (but of course not the only frustrating thing) when Christians deny these biblical truths and talk about the immortality of the soul or about everybody living forever (it’s just a question of where they live) is that we have to come up with terminology to describe these positions. This prayer, though, is a perfect example of how something like “annihilationism” or “conditional immortality” is ideally expressed, with the straightforward, unadorned claims of the Bible. We are mortal, made from the earth (or from stardust as some scientists like to say), we are dust and to dust we will return. We should have no default expectation of living forever, and it is only through Christ that we can have eternal life. Call that “conditional immortality” if you like, but it’s just the Christian Gospel. 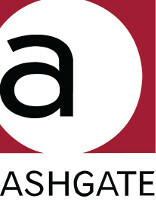 I’m delighted to announce that in December 2014 the Ashgate Research Companion to Theological Anthropology will be published, featuring a chapter from me called “The Mortal God.” The chapter is about how a doctrine of the incarnation might look coupled with a materialist view of human beings. Theological anthropology is about coming up with a view of human persons from a decidedly theological point of view, although there is a natural overlap with philosophy of mind, philosophy of religion, theology and biblical studies. Questions about bodies, minds, souls, spirits, life, death, eternity and more are tackled in this sizeable piece of scholarship. Does the Bible actually teach that souls live on when the body dies? Short story: no. In part 1 of this series I looked at what the Bible does say about the mind-body question. You should read that before you read this post. In short, in Scripture there’s a fairly clear portrait of human beings as physical and mortal, returning to the earth when we die, and depending on the resurrection of the dead for any future life beyond the grave. The familiar view of human beings as immaterial souls that inhabit physical bodies and live on when the body dies is not one supported in the Bible. But is it really that simple? The evidence we saw last time was surprisingly clear, but still, some Christian readers of Scripture are resistant to this message. There are some passages in the Bible – although not many – that seem to some Christians to suppose that actually human beings do not die when their bodies die, but they actually live on in non-material form. Their souls don’t die. Some passages of the Bible, some people think, teach dualism because they teach that the soul outlives the body. This might surprise some people, but embracing a biblical worldview gives us reasons to be mind-body materialists rather than dualists. He’s right about a lot of things, but soul sleep isn’t one of them. 2 Corinthians 12 – an “out of body” experience? Every Christian who decides on a stance to take on the mind-body issue is going to have to live with the fact that there will be certain “problem texts” in the Bible that appear to conflict with the position they take. As a physicalist, I think there is a very small number of such texts for my view, and I think there are plausible explanations for all of them (for example Jesus’ words to the criminal on the cross Luke 23:43, which I discussed recently). What one hopes to do is to settle on a view that has fewer problems than all others, problems that have an explanation in sight.